Rabbi Dr. Leo Baeck was among those sending thanks to JDC for food parcels. In October 1943, the JDC office in Lisbon began sending 1,000 monthly parcels of food to inmates in the Theresienstadt concentration camp. 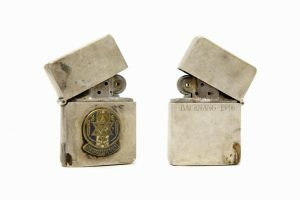 Each parcel weighed 500 grams and contained sardines, dried fruits, and biscuits-foods that were readily available in wartime Portugal. By early 1944, the number of monthly parcels sent had grown to 16,000. The parcel shipments were discontinued in August 1944 with the landing of the Allied troops in southern France. During the eleven months that the service functioned, approximately 140,000 parcels were sent, representing 70 tons of food costing $125,000. 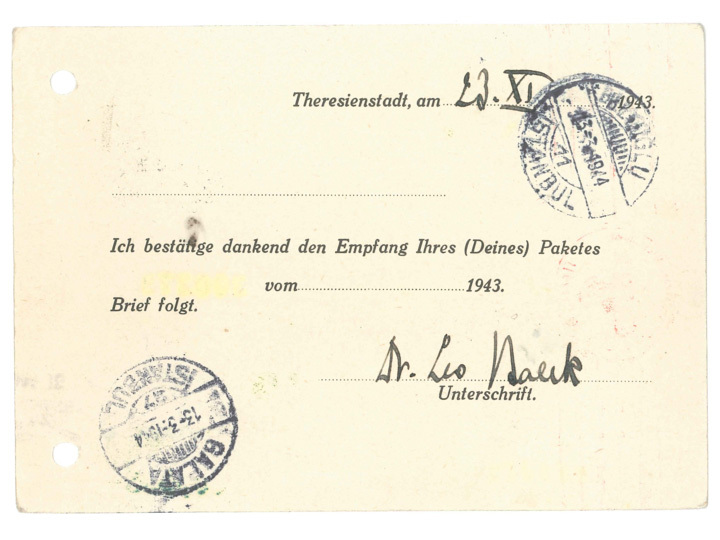 In the Jerusalem Archives of the JDC are postcards sent by the inmates of Theresienstadt to the JDC acknowledging receipt of the parcels. 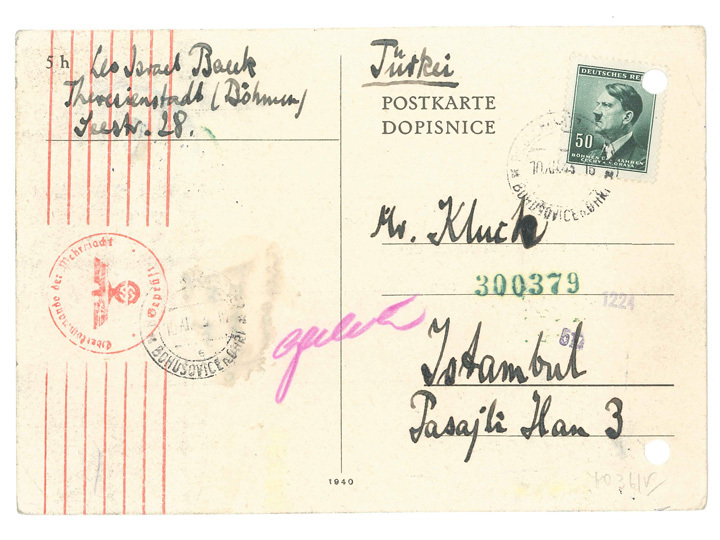 Among the postcards is one signed by Rabbi Dr. Leo Baeck, the renowned Jewish philosopher and beloved spiritual leader of German Jewry, who was himself an inmate in Theresienstadt from January 1943 to May 1945. Known as the “teacher of Theresienstadt,” Rabbi Dr. Baeck survived the Holocaust and spent another decade as a teacher of world Jewry.